Ultra High 400MHz Bandwidth provides sharp, clear images at any resolution up to 2048 x 1536. 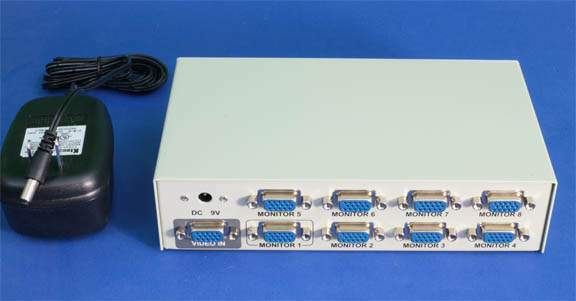 Works with VGA, Super VGA, or XGA, UWXGA and Multi-Sync Monitors. 50 Meters (150FT) is an max transmission distance at 2048 x1536/ 72Hz. Easy to install, no driver required. Works on all operating systems. Power Adapter DC 9V, 500mA.